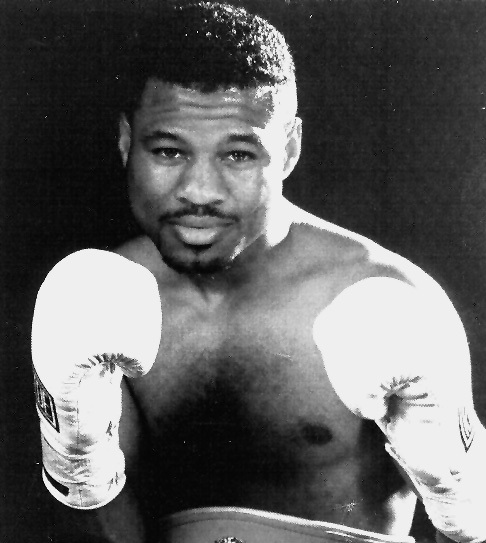 Sugar Shane Mosley: A Legend In The Making? Recently, during an open workout session to promote his up coming ring debut at Madison Square Garden, I had an opportunity to chat with world lightweight champion "Sugar" Shane Mosley. Mosley (28-0, 26KOs), on Tuesday, September 22, at The Theater in New York City, will defend his IBF 135-pound crown against mandatory contender Eduardo Morales (26-0, 21KOs) in the main event. Mosley felt more than eager to discuss a number of topics, including his Garden debut, Oscar De La Hoya, Mike Tyson, and his plans to move-up in weight. After reading this report, fight fans must admit, Mosley is one of the most intelligent and well schooled fighters in boxing today. For those who have seen him fight before - Maybe, just maybe, one day Mosley might be ranked up there with Ray Leonard and Ray Robinson. As an amateur, Mosley, a 27-year-old native of Pomona, California, was a three-time National champion and a member of the US boxing team in the 1992 Olympics. Overall, Mosley was 250-10 before turning pro in 1993. After knocking out 22 of his first 23 foes, Mosley won the International Boxing Federation lightweight crown from South Africa's Phillip Holiday (W 12) in August 1997. In four defenses of his first world title, Mosley has solidified his claim as one of the best fighters in the world. Mosley, aside from Roy Jones Jr., is the most gifted fighter in the world. But since he fights at a lower weight class than world champions Jones, Bernard Hopkins, Felix Trinidad, Oscar De La Hoya, and Evander Holyfield, you probably may not hear of Mosley so quickly. Its a shame because Mosley is the best kept secret in all of boxing. Mosley is so talented, he is the only fighter with enough speed, quickness, power, and boxing talent to match Jones' natural gifts. Mosley is also a hell of a lot sharper and more dangerous than than "Prince" Naseem Hamed. Mosley is such as sensation, he actually has the talent and the right opponents to become a legend. Francis Walker: Shane, you're fighting at Madison Square Garden as a part of TNT's "Title Night." Are you excited? Shane Mosley: "I'm very excited, this is my first time fighting in New York and I want to put on a spectacular show. There's a banner at the Garden, they've welcomed me in New York very well. I'm happy!" FW: Do you know anything much of your opponent, Eduardo Morales? Mosley: "Well, I saw a couple of tapes on him and I know his strength is his left hook. He's pretty sharp, he's pretty tough. Throws a lot of good punches, so in a fight, you never know what could happen. He's 26-0, with 21 KOs. I'm 28-0, with 26 KOs, so you never know... We're both undefeated and it should be a pretty interesting fight." FW: Are you aware, Morales has never recorded a knockout past the fourth round during is pro career? Also, if the fight goes past four rounds is Morales easy pickings? Mosley: "I noticed on the tapes he kind of gets tired later in the rounds and he starts falling apart. I think that's because he has a lot of inexperience against American fighters, or even from Cuba, or Mexico, or anywhere. He's fought in Argentina. So he might be at an disadvantage right there because, I have a lot of experience with all the fighters. Mexicans, Cubans, Puerto Ricans - I fought everybody. So I have experience with different types of fighters." FW: What is your reaction toward the recent upsets at 135? WBC champ Stevie Johnston losing his crown to Cesar Bazan (L 12) and WBA titlist Orzubek Nazarov losing to Jean-Baptist Mendy (L 12). the title (Mendy) is 35, so..."
FW: Because of the recent upsets, does this damper your plans of having to unify the world lightweight championship? Mosley: "Its kind of hard for me to unify. I don't think my defining fights will be at lightweight. My defining fights are at 140. I'm kind of debating whether I should move to 140 or stay at 135. It is a little harder to make 135 sometimes, so I'm caught in the middle." FW: If you do move up to 140, there is talk of having you meet IBF champ Vince Phillips, who claims to have the best right-hand in the business. Mosley: "You know, I won't doubt that! He probably does have the best right hand in the business. He throws it very well. Sugar Ray Leonard vs. Thomas Hearns - Hearns had the best right hand in his division at the time, and Sugar Ray prevailed. You can't have one punch, you got to have a series of punches. I think Vince Phillips is an excellent fighter and I respect him very well. I know it will be a tough fight because he's very strong. It doesn't matter, I just want to fight all the best in the division." FW: Is Kostya Tszyu, who Phillips knocked out last year, still one of the best fighters at 140? Mosley: "I think Kostya Tszyu is a great fighter too. At 140, you have a lot to stiff competition and even the ones who are not elite names: Sharmba Mitchell, Zab Judah, Miguel Angel Gonzalez, and Khalid Rahilou." FW: Miguel Angel Gonzalez, do you think this guy is over rated? At 135, he arguably lost to Lamar Murphy, De La Hoya nearly shut him out last year and Julio Cesar Chavez nearly beat him in March at 140. Although he was the WBC champion with 11 title defenses as a lightweight, but as he moved up to 140 it seems as though he left something behind. Mosley: "All of these guys he is fighting are good fighters. They are champions. When you get a lot of good fighters in there fighting each other, they might not seem that they have as much power, speed, or are that good because.. both of them are equal. But when you have a guy head and shoulders over another, they're probably just great. It's just they have stiff competition on the same level, that's what makes it a good fight." FW: Lets talk about Angel Manfredy. What kind of fight would it be if you were to fight Angel Manfredy? Mosley: "It will probably more of a strategy type of fight. It will be a high tempo fight because, I like to fight at high tempo. Tall, rangy, and I am strong. Really, I'm not a true lightweight. I'm a junior welter. Its a difference when a tall man is fighting a smaller man. I really thought with Arturo Gatti, he hit him and Manfredy hit Gatti. They went back and forth. Gatti was catching Robinson a little bit, but Robinson had more of the effective punches. Robinson won. So you gotta weigh it out. I think Gatti's best weight is 130 for his height and everything. I'm not sure if 135 is his true weight." FW: I know your thinking of a move up to 140, but have you considered perhaps waiting on Manfredy to move up to 130. Providing of course Naseem Hamed does not fight him at 130? Mosley: "I''ve been at 135 for so long. In fact, I ended my amateur career at 140. I was number one in the nation, in the amateurs for two years at 130. My thing was, I wanted to go down to 135 and win the lightweight title, win the different titles to 147. I wasn't really planning to stay at lightweight my whole career. It might take a toll on my body. Manfredy has room to go to 135 and make that his final weight." FW: Speaking of 147, you beat Oscar De la Hoya in the amateurs. How much has he improved since then? Mosley: "Oscar is showing he has a lot of class inside and outside the ring.He's a very sharp, accurate type of fighter. The only knock is that he has not been fighting the best in his division. I know he's a good sharp fighter and a wonderful person and everything, but I think his promoter Bob Arum is in the way too much." FW: Well, He has signed to meet Ike Quartey in November and has taken more control as to who he fights and when. Mosley: "And that's good. He's taking it upon himself to take that fight. I think he believes he's the best and wants to go out there and prove it." FW: For a world champion he has had a very tough schedule: Five world title fights last year, three with Quartey being his third in 1998, and already they are talking about De La Hoya fighting again in February and again May 1999. Is he taking on a little too much? Mosley: "No, I think he knows he has to fight these more competitive fights and he just wants to stay sharp. Which is a smart move." FW: Your nickname is "Sugar." Are you the next coming of Ray Robinson or Ray Leonard? Mosley: "No, I am not the next coming of Sugar Ray Robinson or Sugar Ray Leonard. I want to be Sugar Shane Mosley, I want to be me. If the people accept me for who I am and what I can do, that's fine with me - I love that! I would love to go down in history as the great Ray Leonard and Ray Robinson." FW: One last question! Mike Tyson goes in front of the Las Vegas Athletic Commission on Saturday. Should he be granted his license back? Mosley: "I really think he probably should, because of what he has done for the sport of boxing. He got all the high rollers, everybody involved in the sport. Everybody was real excited to see Tyson fight. Now what he does on his personal end, I really can't talk about. He could get charged. Its really hard to tell. It's something the people have to get together and figure out, do they really want Tyson to come back into the sport." FW: Have his skills eroded? Mosley: " I don't think his skills have eroded. I think Evander Holyfield has Tyson's number. They grew up together in the amateurs, so Evander knows Tyson. I think Tyson is Tyson. He's getting older. The time away in prison may have zapped away some of his skills, but Tyson can still knock you out. No matter who it is." FW: Does Tyson want to fight again? Mosley: "That is a question you may have to ask him." Some sources report "TK 8"
Some sources report "TK 5"